Gaming a PRS stage, everyone has done it. It’s part of a match. Figuring out a way to make it just a little bit easier to gain that extra “impact” or two. The entire industry has shifted focus to helping gain that little bit of an advantage. Just look at the different types of bags on the market. The amount is staggering. With that all being said I’ve begun to feel that being physically fit can help gain an advantage on stages as well. Now I don’t mean being SEAL Team 6 or run marathons fit; I’m talking go to the gym or a run a few times a week physically fit. It hit me while shooting a local match here in Wisconsin last year. One of the stages required the competitors to fire one round at a 400yd target from the shooter’s strong side, then hop over a bar and fire one round at the same/similar target at 400yds from the shooter’s weak side. I watched a few competitors in the rotation go before me, while watching I decided to essentially do a “burpee” over the bar. I fired all ten of my rounds and dropped only one or two shots with a little time to spare. This isn’t to brag this is to show what a little fitness prep over the course of the offseason can do. 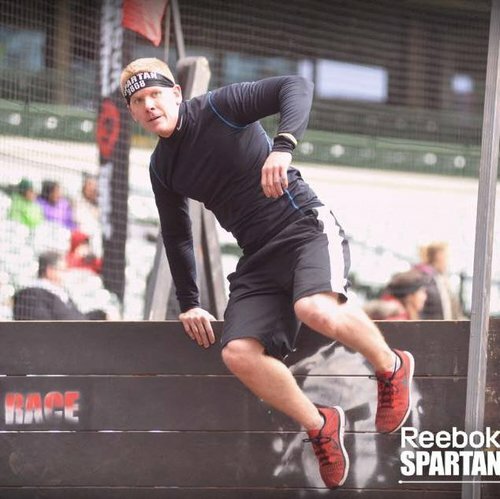 I feel that being physically fit and prepared can help competitors gain an advantage, both in PRS style matches and more endurance style matches like The Mammoth Sniper Challenge and the Competition Dynamics Sniper Adventure Challenge. Cardio, cardio and more cardio. Then when you’re sick of cardio, do more cardio. Most people I know hate doing cardio, myself included. That being said the benefits of cardio in precision rifle shooting cannot be ignored. The most obvious benefit is a slower resting heart rate. The textbook resting heart rate is between 60-100 beats per minute. At this heart rate the electrical nodes in the heart are generally functioning optimally. The closer a competitor can get to that 60 beats per minute of even under if the competitor can safely do so, the better. The benefits of cardio workouts can have on a competitors respiratory system cannot be overlooked as well. Breathing control is a fundamental of marksmanship. Breaking the shot during a shooters natural respiratory pause is paramount. Textbook resting respiratory rates are 12-20 breaths per minutes. Being able to slow that down helps lengthen that natural respiratory pause that shooters look to time the break their shot with. On stages that a shooter must move, having a strong respiratory systems helps keep that respiratory rate closer to the normal rates of 12-20 breaths per minute. Cardio can be anything that gets your heart rate up above 100 beats per minute for an extended period of time. Most people picture running and it in general is the easiest cardio workout to do, simply go outside and run/walk. But it is far from the only cardio workout. I generally rotate. I do cardio 3-4 days per week and I try to rotate my exercises so I don’t get bored or burned out. Lifting weights; people love to lift weights to “get huge”. Getting ripped and being strong is great. In fact, being strong is a job requirement of mine (I’ll explain more later). However, in general PRS matches aren’t requiring competitors to dead life a 300lb mannequin before firing at a 66% IPSC at 1000yds. Most of us are carrying a 10-20lb rifle and 10-20lbs in ancillary gear, clothing, food, water and ammo. For some matches, the Mammoth Sniper Challenge, comes to mind immediately, competitors are required to carry all of their match gear for several miles between stages. Even for PRS matches, lifting and moving a 10-20lb rifle from position to position in a repetitive fashion is the most common movement. That is why muscle endurance is the key, in my opinion. Being able to hold that Accuracy International AXMC steady enough in an off hand position long enough to break a clean shot requires a lot of muscle endurance. It requires a lot of endurance with the lighter rifles as well. The most strength based stage I’ve seen in person or on video is a stage at VPRC. The stage required competitors to drag a mannequin a certain distance before engaging the stage targets. That’s not to say that this sport does not require a level of strength but from my experience, it’s more about muscle endurance than pure strength. Keep in mind that the more muscle mass an individual has the more oxygen that individual will require to fuel that muscle mass. This requires more blood flow through the body to transport that oxygen to the muscles that are active. This is just a basic and small example of how the respiratory, cardiovascular/circulatory systems are tied together. While going through school to get my paramedic license I began looking at them as one system with several branches to better understand the intricacies of how they interact. I touched a little bit on my training regime a little earlier. My profession as a firefighter requires me to have some level of physical fitness as well as provides me with a means for maintain that level of fitness. My training regime revolves around my work schedule (24 hour shifts) which is on a nine day rotation. This kind of throws things for a little bit of a loop when planning my workouts. I lift while I’m at work plus one off day in the rotation. We have a gym at every station that is stocked through funding by the employees and the city. I also have a set of kettlebells at home. I do cardio on my days off. Here is a sample of my training regime based on this block’s rotation. It is extremely important when lifting to use proper technique and protect yourself from injury. If you are unsure of how to do an exercise or movement, consult a personal trainer. Take the time to warm up and stretch before and after each workout. This helps the body perform better and prevents injuries. Injuries can derail the best athletes if not prevented. -100-200 pushups, keep rest periods to a minimum. -Dead lift 21-15-9 with perfect technique. -I may do some light stretching or yoga. This is just a sample workout that I use. It fits what I’m trying to accomplish so that I’m prepared for my job and matches. Please consult with your physician or a personal trainer if you are looking to develop your own program. If you want a plug and play program there are a ton of them out there, from P90X to the Insanity workouts, the choices are endless. Just remember something is better than nothing. Resting is key to recovery. Overtraining can cause injuries and hamstring progress. Make sure to get 7-8 hours of sleep each night. Those of you in emergency services or have kids know that it can be next to impossible get the proper amount of sleep on a regular basis. It becomes even more imperative to let your body recover between lifting sessions. I usually take a week off of working out every 6-10 weeks. It helps me from feeling burned out. It also helps me get refocused on what I’m trying to accomplish. At the end of the day, it’s up to the shooter to decide if their fitness is where they want it to be and whether or not it’s worth it to improve. My personal opinion is, that it is. If being able to move a little faster, in a more fluid motion and with better flexibility; saves me a half second per shot, that’s an extra half second, minimum, to focus on my fundamentals or build a solid position. Not to mention the benefits of a more stable heart and respiratory rate contributing to a more stable position. But that’s an evaluation each individual shooter will have to make for themselves.